Dr. Laux, a world renowned expert in natural medicine, testified before the Clinton Presidential Commission on Dietary Supplements and served on numerous Scientific Advisory Boards for leading natural medicine companies. 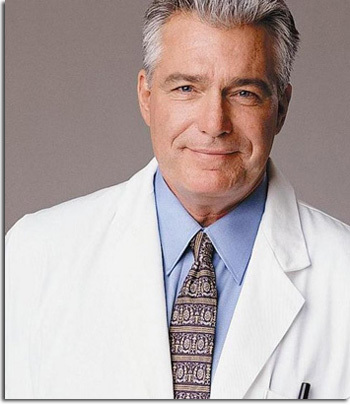 A licensed Naturopathic Physician who received his doctorate from the National College of Natural Medicine (NCNM) in Portland, OR in 1985, Dr. Laux served as Clinical Professor of Obstetrics & Gynecology at NCNM; Adjunct Faculty at Bastyr University of Natural Health in Kenmore, WA, and Assistant Adjunct Professor at Emperors College of Traditional Oriental Medicine in Santa Monica, CA. Dr. Laux maintained a full-time private family practice for two decades in Beverly Hills and Malibu, California, one of the first integrated clinics with MD, ND, DC, LAc and D.O. in the U.S.
Dr. Laux traveled extensively, researching native medicines and indigenous healing practices, and co-authored Natural Woman, Natural Menopause, The New Memory Advantage,and The Ten Top Alternative Therapies. What Is Pre-Menopause and Menopause? Menopause is a natural part of life, when a woman goes from her reproductive years to her non-reproductive years, meaning she no longer makes eggs from her ovaries and the production of estrogen declines. The definition of menopause is when a woman stops having a menstrual period for 12 months in a row, and while the average age is 51, some women will go through this change sooner and some later. The symptoms of menopause can start during the 40's and can continue well beyond the 50's and 60's. Women can spend 1/3 of their lives in menopause, which means that most women will live for more than 30 years with reduced levels of estrogen, and all women are going to experience some of the symptoms and changes that occur with menopause. The journey leading up to menopause is called peri-menopause (or pre-menopause), and typically begins for a woman in her early to mid 40's. Peri-menopause is often marked by changes in a woman's normal menstrual cycle, which can become either heavier or lighter with just spotting, more frequent, or for many women will start to skip periods altogether. During this phase, women are still having periods, but they are on a hormonal roller coaster ride, and the symptoms are often the same as menopause. 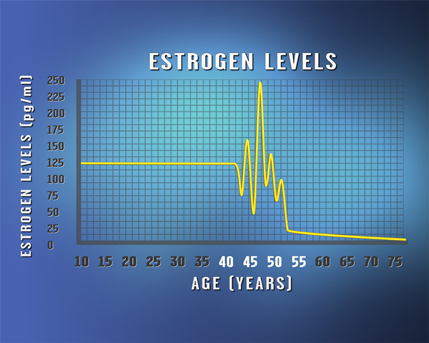 Up to around the early to mid-40's (varies by individual) a woman's estrogen levels are pretty reliable, but around that time as ovaries start to age, estrogen levels become unpredictable. Before the 1900's, many women did not live much beyond the age of 50, so they rarely had to deal with hot flashes and night sweats. However, around the turn of the century as women lived longer and experienced the symptoms of menopause, some extreme treatments emerged such as blood-letting and opium, and in some cases, even a half pint of beer would be given as a treatment! Once doctors realized that the loss of estrogen played a big role in causing menopausal symptoms, they started giving Hormone Therapy to women. 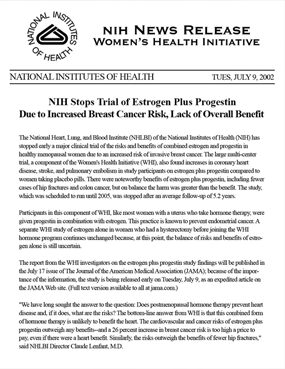 The National Institute of Health stopped the study early due to concerns over safety issues, and many health care professionals and women started looking for non-hormonal alternatives. In the meantime, other treatments such as Bio-identical hormones emerged, which are hormones that are biochemically identical to the ones women's ovaries make. Nonetheless, they are still hormones requiring a prescription, and they still carry the same risks associated with HRT. 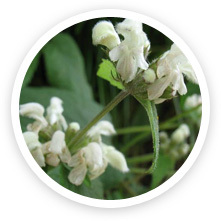 Soy and Black Cohosh are also known treatments for menopause. Soy is the most widely used plant-derived compound with estrogen-like activity. However, relief of symptoms using soy foods or supplements has been studied with mixed results, meaning that sometimes they work and sometimes they don't. Furthermore, Profemin™ is manufactured in accordance with strict FDA guidelines and every bottle is encapsulated right here in United States. Also, every single lot of Profemin™ is independently tested and verified for purity and for the absence of pesticides and heavy metals, like lead. 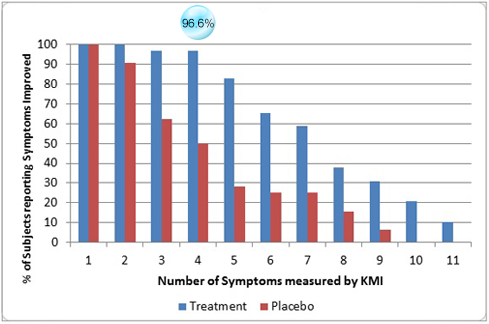 So you know that when you take Profemin™, just 2 capsules a day, you are getting exactly what the packaging says. 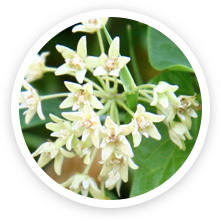 Traditionally used for thousands of years for its anti-inflammatory and pain relieving properties. 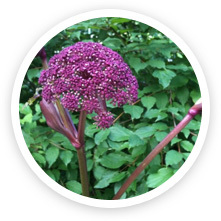 traditionally used to improve circulatory function. 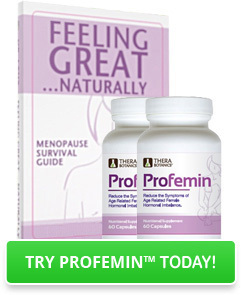 These ingredients are extracted and standardized, and when combined in this exclusive formula provide a powerful synergistic benefit to aid in the relief of the symptoms of menopause, making Profemin™ a safe, natural, and state-of-the-art modern health solution for menopausal relief without the use of hormones. Profemin™ is also a gluten-free supplement. ©Copyright 2014 Profemin, LLC - All Rights Reserved.